On March 1, 2014, my boyfriend fiancé Ian and I became full time travelers. We called it quits on our “normal” American lives and decided to get out and see the world. It took careful planning, preparation, and even sacrifice, but transitioning into a lifestyle of full time travel is probably easier than you think. Below are 7 steps that we’ve put together to prepare you for quitting your job and traveling the world, along with the details of what this process involved for us. It was exciting, fun — and yes, scary — but totally worth it! The less money you have allocated to spend, the less money you need to make. Complete this step first! No matter what your income, there are ways to live with fewer expenses than you are now. Some are easy. Some are obvious. Other expenses may be more difficult to break away from. This may take you out of your comfort zone, but if you’re serious about having the freedom to travel full time, believe me, it’s worth it. Eating out – It’s less expensive, and often more enjoyable, to cook for yourself. You’ll likely eat healthier by preparing your own food, too. Expensive social activities– Twelve-dollar cocktails add up quickly, especially when they’re in your plans multiple nights per month. Opt for BYOB gatherings instead. There are plenty of free or low-cost social options. Set yourself a strict, realistic budget for socializing, and stick to it. You’ll notice “saving money” isn’t a step on this list. If you’re truly only spending money on essentials, the saving part happens on its own. If you’re like me and still gradually paying off an uncomfortable amount in student loans, it may take some careful planning to determine the best way for you to attack this step. To begin, I recommend setting up a Mint account to get a handle on your finances. I started using Mint in 2013, and it’s really helped me realize when I’m getting off track budget-wise. It’s free, but it does take time and patience to set up. Set aside a Saturday to input all your account info, and you’ll end up with a real-time, honest overview of your financial status. Identify debts that you have the option of ridding yourself of. For me it was my auto loan. I had the option of selling my car and paying off my debt. I wasn’t going to need my car when traveling abroad anyway. If you’re a current home owner, and you’d rather live a travel lifestyle, then sell your house! If you absolutely can’t sell, then find a long-term renter. Renting your house through Airbnb is a popular new option! Renting: You can find everything from shared or private rooms in a local’s home to entire apartments our houses available for rent on Airbnb. Check out our tips for finding the best place on Airbnb. When you’re ready to get started, sign up for Airbnb and get $25-$35 off your first rental with this link. Hosting: While more geared toward hosts present during their guests’ stays, our tips for being a 5-star host on Airbnb will offer some tips to boost your listing once you’ve gotten started. You don’t have to be absolutely debt-free. I had $36,000 in student loans when I took the leap. But it is an extra expense that I need to account for in my travel budget. Bottom line: The less debt you have hanging over your head, the easier it will be to quit your job and get out there and travel. Watch our intro video to see some of the places we’ve been! Soon you’ll be fitting almost everything you own in a suitcase. It’s time to start reviewing what you will and won’t need. Unless your first travel plan involves a road trip beginning in your immediate vicinity, you won’t need your car. Think about what you can pack in a suitcase to take with you for the next three months. Think lightweight and packable. You’ll have to pay extra for anything beyond your carry-on, and many airlines have weight restrictions on carry-ons, too. If you have the option of storing items for free somewhere (like your parents’ house or a friend’s closet), set aside a reasonable amount of stuff to store. You don’t want to create a burden for someone else, and it shouldn’t feel like you’re moving in to their place. Only important documents and a select few other items. These should be things that you are unable to sell and it would cost you a lot (of time or money) to replace them. Things that you have definite plans for using or you have genuine intentions for using in the next year. Example: You’ll be returning home for a wedding six months after you begin traveling. Store a dress or a suit and matching shoes. Another example: You’re traveling somewhere warm in the summer and fall, but you will return home during winter for the holidays. Store your winter coat. Experimenting with what we can fit into our carry-on suitcases; view our packing list. Depending on your finances and your level of comfort with uncertainty, you may begin your new traveling life as quickly as one month from now, or it may take closer to six. It took us two. Your process will vary depending on your unique situation, but if you’re truly motivated, despite debt and similar obstacles, you’ll find a way to make it happen. Spend a week or two analyzing your finances and experimenting with different scenarios. I recommend choosing a date when you’ll have saved enough money to get you through three months of travel without any planned income. Plan what your traveling budget will look like. Identify what expenses you have that could be eliminated by a traveling lifestyle, and think about removing them well before you set off. Keep in mind that a travel lifestyle budget will look VERY different from a vacation budget. If you don’t know where to begin, take a look at our first year’s travel budget. Determine how quickly you can begin your new travel life, and set your date to set your plan in motion! At the beginning of January 2014 I started planning for my transition. I owed $5,700 on my car with a $250 monthly car payment and $100 monthly insurance payment. I owed $36,000 in student loans, with $500 in monthly payments. Other expenses included rent, groceries, gasoline, and cell phone, averaging out to $1500 per month. My salary made me about $1,600 every two weeks after taxes, and I had 7 days of cashable vacation time. I had just under $1,000 in the bank. I determined that by planning and sticking to frugal budgets, removing excess expenses, and eliminating the debt that I could (my car), I would be reasonably comfortable leaving my job on February 28, 2014. There’s no need to plan in too much detail too far ahead of time. Just worry about selecting your first destination for now. Think about where you’ve always wanted to go or what you’ve always wanted to see and start browsing the Internet for flights and housing. Search Google Flights, Kayak or Adioso for flights. Try Skiplagged if you’re a risk-taker who can be extra flexible with your travel plans. If you’re heading to Europe, you can likely find an affordable flight on Norwegian Air, flying nonstop from Los Angeles, San Francisco, New York, Orlando, or Fort Lauderdale to Copenhagen, Stockholm, Oslo, Bergen, or London, with routes still expanding. Prices for one-way flights to these cities all start between $150-$300. Cheaper than you thought, right? Read How to Find a Safe, Comfortable and Affordable Place to Stay on Airbnb. Search Airbnb for housing. For an easier trip, choose housing near a city center or airport, or at least near affordable public transportation. For a more affordable – and more culturally complete – trip, book a room in someone’s private residence. Airbnb has lots of hosts eager to book out the extra room in their home to travelers. You can also find entire homes or apartments available to rent on Airbnb, but your destination options will be more limited if you’re sticking to a sustainable budget. Create an Airbnb profile and start conversations with hosts, contacting them to confirm availability, begin to get acquainted, and to get pre-approval to book the dates you’re considering. You’ll want a place with a responsive, friendly host, willing to answer questions, who has good reviews. We found a fantastic place to call home for the first month of our adventure abroad in Norway on Airbnb. We were always welcome at gatherings with our host family’s friends. Ian and I are both very fortunate to have caring family and friends supportive of our goals and dreams. When I began considering quitting my job and traveling full time, I first confided in a few good friends at work, people I interacted with on a daily basis, whom I knew would be supportive. I also talked with close friends and roommates about the exciting new life that we were working toward. Everyone we discussed our plans with was happy and excited for us. Of course they had questions. It was a big change! But having a supportive group of people to talk about it with was extremely helpful. Since our trip started, these are the people I’ve stayed in touch with, and I’ve also found time to reconnect with old friends. Share your plans with the people you know will support you. You’ll likely end up with more than a place to store a few things and an inbox for your mail. When you’re confident you’ll reach your goal by the date you’ve set — for me it was one month away from my goal date — it’s time to take some serious action! Enjoy the adrenaline rush of completing the irreversible actions you’ve been waiting for. Buy your airline ticket and put in your two-weeks notice at work! If you’re a renter, be sure you’ve given your 30-days notice or found a sub-letter. Housing and flights should be booked hand in hand. Coordinate your housing to begin when it’s affordable to fly. After determining we could find an affordable flight from Los Angeles to Norway, we confirmed our booking on Airbnb and then booked our flights the following day. But what will I do for money? Here’s the fun, exciting, maybe a bit scary part! If you plan the way I did, you’ve got three months to figure it out! I do recommend you at least start thinking about the money-making part before you leave — and have some backup options if the things you experiment with don’t work right off the bat. You may start a blog about a topic you’re passionate about and as it gains popularity you’ll make money from affiliate sales, or you may seek out odd jobs as you continue your travels. You’ll likely experiment with several options before you find the one that works, and whatever you start with may not be what you ultimately do for money as a successful full-time traveler. Don’t dwell on finding your perfect solution just yet. If everyone already knew their recipe for success as a traveling entrepreneur, then traveling wouldn’t be so exciting. When you have the freedom to clear your head and your mind is stimulated by new exciting places and experiences, the answer will come. In the mean time, you can read about and gain some wisdom from some other people who are making this happen, too. You can still get started NOW — Check out 8 Simple Ways to Prepare Yourself NOW for a Full-Time Traveling Future. UPDATE: How are we doing now? Read my reflections on our traveling life, 10 Reasons I’ll Never Regret Quitting My Job to Travel (plus 10 More), and subscribe to our newsletter to see where our travels are taking us lately! Thinking about taking the leap? Share your thoughts with us in the comments below. If we can do it, so can you! The way you broke this down made it seem actually doable. For the first time in my life, I realize that I don’t have to get super rich before I fulfill my dream of living abroad. I will be storing this article and referring to it often. Adventure is out there! Good luck to you! Thanks Susanna. I’m happy to hear you found this article helpful! YOU’RE SO ORGANIZED HOLY SMOKES. But seriously, I don’t think I’ve ever prebooked accommodation ever, and I’ve been traveling full time for a year now. But then, I usually sleep in a tent, so your accommodation is probs way more plush 😉 Thanks for finding me on FB the other day! Ian and I actually do plenty of tent-camping in the U.S., but we haven’t tried it abroad yet. We’ll have to get that tent of ours packed for our next trip! Camping is certainly one of the best ways to experience a new place. Thanks for stopping by, Syd, and keep in touch! Very organized and well-thought out plan for anyone that wants to take on traveling as a full-time lifestyle. Thanks for sharing! Thanks Sanjana. Glad you enjoyed the article! I am seriously considering doing the same thing! I just wondered though, are you only traveling abroad? And for your board, have you found any accommodations that would be suitable for say 3-6 months? Your best bet starting out is to search on Airbnb. You can often find multi-month stays in lots of neat destinations. We stayed in Norway, Berlin and Milan on our first Europe trip and all were places we found on Airbnb for around $600 for the month. There are also travelers who get free stays by doing house sitting. You need to build up a reputation first, but for free stays? I’d say it’s worth the effort. I recently read an article about housesitting by Traveling Weasels that has me wanting to try that next! We are not only traveling abroad. We travel within the U.S. too, though those are mostly road trips since we love camping in National Parks. We’re actually on a road trip in the U.S. now. P.S. You can find some awesome deals in Costa Rica for multi-month stays on Airbnb. Some as low as $300 per month. Groceries are a tad pricier there, but with rent that low, that’s no big deal at all. I think what you are doing is great. First trip nearly a year with 4 1/2 Months US and Canada then 4 1/2 Months in Europe. Then back to work for $$$$ about 3 years (being paid to work/travel in US with a small Airstream). 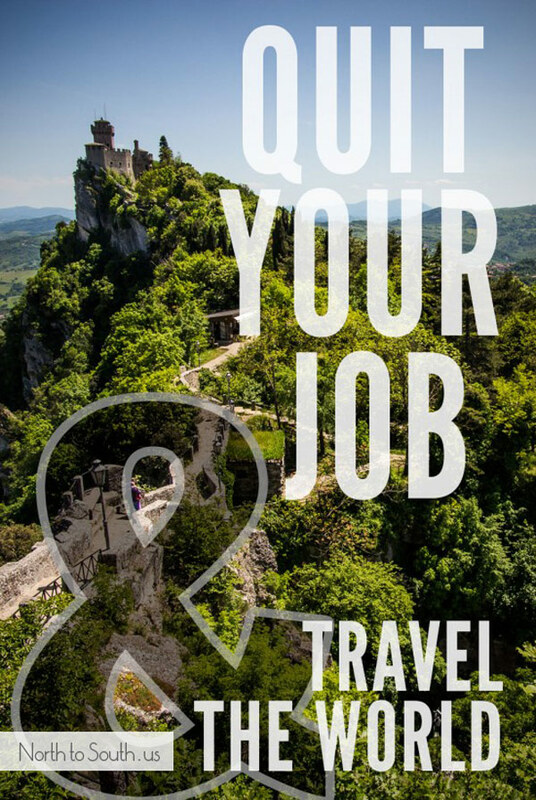 We quit…went to London, bought a small VW Camper and lived and traveled in Western Europe and North Africa for nearly 3 years…then back for more $$$. Worked a few years quit and went to New Zealand where we bought a small camper and traveled in NZ for a year. Sold our NZ camper and went to Australia where we bought another small camper and spent a year with a 2 month side trip to Southeast Asia. Back again to US make more $$$ and before you know it, time to QUIT again and pretty soon time to retire. No regrets, friends around the World and I can communicate in 6 languages speaking 4 pretty well. Oh, you have it easier, there was no AirbNb, Norwegian or Internet when we did it. BTW, we have flown Norwegian 3 times and you are right about Easyjet and Ryan Air and don’t forget the incredible rail network that connects all of Europe at bargain prices. We have traveled/lived in 65 countries and traveled all over the US and Canada as well spending 5 Months each Summer in Canada for most of the last 20 years. How do you deal with Healthcare? That’s awesome, Sidney! I’d love to be able to speak so many languages. 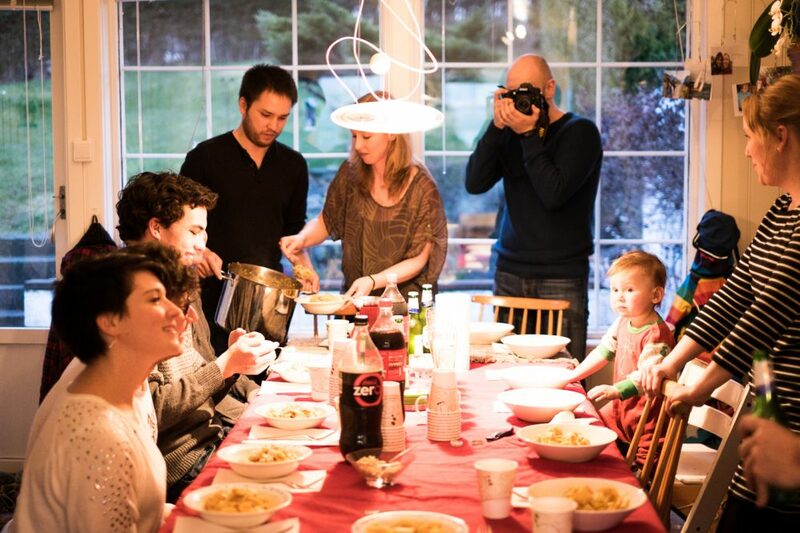 I’m DEFINITELY grateful for Airbnb and Norwegian — they make it much easier to do what we’re doing! It’s nice to hear from a seasoned traveler how rewarding a life of travel can be. For healthcare, we turn to the Internet yet again. We purchased the best travel health insurance plan we could through eHealth for our first trip to Norway/Germany/Italy. And it was MUCH cheaper than what it would’ve cost us in the U.S. at the time. I’ve also heard World Nomads is good but have never used them personally. It may not be the smartest, most responsible decision to leave my life behind to soul search abroad. It definitely was not the most financially responsible. I can’t eat everywhere I want. I walked past dozens of restaurants after seeing the prices on their menus. Eating out can certainly be expensive just about anywhere in the world. That’s why I recommend cutting that out of your lifestyle well before you call it quits. Ian and I frequently cook at ‘home’ — wherever in the world that may be at the time. This is so inspiring and something that has been on my mind for a while now. I’d be on my own, but I’m so close to doing this. It would go against everything I’ve ever built for my life, but then again, I’ve kind of already made some big sacrifices. My question is health insurance. That’s the 1 big thing holding me back. That was a huge concern of mine, too, but I was happy to find that it’s possible to get really decent health coverage abroad for a reasonable price — even cheaper than what you can find at home in the U.S. I recommend checking out the international health insurance plans available through eHealth.com. For our first trip abroad, we purchased the Patriot International plan from IMG with a $0 deductible, $1MIL limit and 1-month End-of-Trip Home Country Coverage, and it came out to less than $50 per month. If you plan well and purchase 5 months — plus the one month of at-home coverage — at a time, you can spend one month at home in the U.S. every 6 months if you want. You should also familiarize yourself with affordable health care options within the U.S. for those who are self-employed. Coverage in the U.S. will be more affordable when you’re first getting started and making little money. And since you’re now required to have health coverage in the U.S., it’s a step you should definitely take — also smart in case you end up spending less time abroad. Feel free to reach out via email — diana [at] northtosouth [dot] us — if you want me to elaborate on anything! Would love to have this type of lifestyle – just scared. My boyfriend and I are in our 40s and both of us have serious health issues: I’m diabetic (type 2) and he’s a kidney transplant recipient. I think it would take a lot of planning for us – we have quarterly doctor appts required to manage our health. It would be so great to see the world. Maybe we could do a modified version of this? Hi Tanya! It’s certainly doable, but you have to do what you’re comfortable with. Keep in mind that it’s scary for everyone and virtually no one ever has the perfect life conditions to leave life as they know it behind to travel full time. You just have to consider how much you want to do it. You only live once, so if it’s something you really want to do, you have to go for it! I hope this helps! If you have any more questions for me, please feel free to either respond here in the comments or email me via our contact page if you prefer. Happy travels, and let us know when you’ll be starting your adventure! Reading this article is so inspirational yet scares me to death yet makes me want to cry with joy after reading it. You’ve explained an amazing plan on how to successfully accomplish the lives you two have built for yourselves. Like a couple people here I too would be attempting this alone. However I’m in a place where it’s totally do a me according to your plan. Quit my job a d haven’t found a new one, still live with my parents without rent, no loans, only about $2000 in debt, and my car is paid off. For me I’ve never been outside the US and I’m struggling with leaving my parents and friends behind as well as having no cushion to fall back on. What advice can you give on getting into the mind set of leaving it all behind and living a more nomadic lifestyle. Especially alone. Any tips? By the way thanks for writing about your experiences and being I’ve subscribed I look forward to your next articles. Hey Nikki, I’m glad you reached out! It’s certainly a scary thing to make such a big life change. But it can also be very exciting and will open your eyes to so many amazing people and places you may have never met or experienced if you didn’t take the leap. And that makes it all worth it! (1) Know that you’re not alone! There are SO many travelers you can connect with (and doing so will make the whole process less scary), and you can start making connections before you head off or decide where to go first. Search for solo travel blogs on Google or Facebook and start following some that look interesting to you. Some seasoned bloggers even put together affordable trips/tours for groups of like-minded nomads, and that may be a good place to look first for ideas of where to start. One major blogger that comes to mind that has put together trips like this in the past is Adventurous Kate, one of the best solo traveler inspirations out there. She’s been traveling and blogging for years! (2) Realize that it doesn’t have to be permanent. And you don’t HAVE to go far away to experience really cool places. Keep in mind that you can always go home if you want to. If you have a tendency for home sickness, I recommend starting with a country that speaks English. That will make the transition much easier! Those are just some ideas to start with. I hope they’re helpful! Let me know if you have any additional questions, and I’d also love to hear where you’ll head off to first. Happy travels! This is so helpful! It’s great how you broke it down and made this doable for anyone. Thank you! Thanks, Tess. Happy you think so! We are definitely doing it! We decided in March that we really want to do this. Now more than 6 months have passed! We plan to have our life in order, everything sold/given away by spring 2017. Seems like forever away, but that’s our goal. You guys are truly an inspiration. We are 41, daughter graduated highschool this year and this just feels like our time! So excited! How exciting!!! Congratulations, guys! You will SO never regret it! Keep us updated on your travel plans. We’d love to hear where you decide to head off to first! I just came across your blog, great stuff! My husband and I are gearing up to travel the world at the end of January. Things are starting to fall into place but the question of health insurance as an American is slightly confusing. After you quit your job did you sign up for COBRA or any other health insurance beside just the travelers insurance? I hear that if you don’t have health insurance there will be a tax penalty. How did you handle this? And if you used travelers insurance, which service did you use? Thanks for your help. Happy traveling! Health insurance was a big question for us, too, and I spent a whole afternoon researching international health insurance before my last day at work. For U.S. coverage: COBRA was ridiculously expensive, so I decided against that option for U.S. healthcare. Since you’re exempt from having U.S. health insurance if you’re living abroad, we headed abroad literally the day after my last day at work, so I had three months abroad before I began worrying about health insurance at home. (My travel health insurance covered me on our travel day, so I spent no time uncovered.) That said, I potentially could have chosen a better quit date to give me more time to prepare between working and heading abroad. e.g. My health insurance through work would have continued through the end of the month in which I worked my last day. My last day was the 28th of February, so my coverage ended on my last day of work, but I COULD have had extra covered non-working time by having a mid-month last day instead. Therefore, you may benefit from reading up on whether your current health coverage works in a similar way so you can strategize a good quit date. Also (very important) — go to the doctor/dentist/etc and have all your prescriptions filled to the max during your last month of work! To prepare for returning to the U.S. and the health coverage requirement, I completed an application via healthcare.gov to get healthcare coverage. It’s quite affordable (and potentially free) depending on how much income you’re currently bringing in. While you may have to provide your previous year’s tax return info (which will likely be high if you were working a full-time job), you just simply include a note stating that your income has changed because you are no longer working at the same job. If you’re working on building up your own business while you travel (like we did), create a spreadsheet of projected income that you can include with your application. Include as much info as possible, and be sure to keep your state’s healthcare agency updated if your income changes. Note: When you apply, you may be outside of the official annual enrollment period for U.S. healthcare via the federal healthcare system (I was when I applied), but having a change in income is a valid exception, so it shouldn’t be a problem. Lastly, consider completing the application on healthcare.gov the day immediately following your last work day. The factor in determining healthcare cost is current/upcoming expected income, rather than past income. I know that was a ton of information. Let me know if you have any questions! P.S. I checked out your blog — LOVE the map on your homepage. Mind if I ask what plugin you’re using? Thanks for this, this article was really helpful in managing my boggled head. I’m 21, never been on a holiday, mind is causing unhappiness, I think this will help me get away from a dull, cog in a machine life and let me experience serenity. Thank you once again. Thanks for the kind words! We’re happy to be an inspiration, Irfan. Best wishes in setting off on your first adventure! Great list! Instead of traveling 100% of the time my wife and I took the leap out of the corporate world to start businesses that we are passionate about. A lot of these same rules can be applied to just leaving the corporate world. For example, we sold our 2013 Honda Pilot and bought a ’95 Toyota 4Runner. The older vehicle runs great and I could do all the labor on it to reduce our costs. We also stopped eating out and don’t have cable anymore. Instead, we got Sling which has all the channels we want. That’s awesome, Alex! We used to have a 4Runner, too, but we actually sold it to purchase our more fuel-efficient Yaris. I’ve heard that Sling is a good alternative to a standard cable plan. Thanks for reading, and for sharing your thoughts with us! How are you tackling retirement savings? Do you think this life style is possible with children? Hi Kelly, thanks for reading! We set money aside regularly in savings for retirement and emergencies — a very small amount in the beginning, but we’ve gradually been able to add more and more as our businesses have grown. And there are plenty of families who live the nomad lifestyle, so they are living proof that it’s possible with children. I recommend searching Facebook for keywords like “Nomad family” and “RV family” to find families to connect with to see if the nomad lifestyle is a good match for you. Happy travels!